You are here: Home » TCS – Très Chic Styling! TCS – Très Chic Styling! Two rather stylish business women from Montreal united and launched a one-of-a-kind concept in the city. Before hand, one pursued a career as a stylist and the other one marketing management. It was passion, business smarts, also that they’ve both traveled extensively and worked in the fashion field for years that motivated these two ladies to gather and put to place a plan. A Très Chic Styling service plan! The concept: Stylist with their own merchandise. In other words, an open showroom fabulously filled with everything to complete a celebrity look… with a deal. The call is out to fashionista’s bargainistas! I got to meet with both of them, Angelica Koinis & Maryam Rafa and here I present to you; Très Chic Styling at a glance! Inspired by European and American trendsetters, this market is fairly small in Montreal but potential for the in & out executives, busy moms and wealthy women who have to appear a certain way. Adjusting celebrity looks that dress to impress with a budget, TCS’s mission is to fit you in the perfect dress. One of those trusted and quality made designer labels that are rarely found in Montreal at a reduced cost. TCS operates by appointment. After speaking with its associates, they get you to come in and the showroom is yours. As if you were in your own closet, the girls insist you make yourself at home. They take your measurements, suggest you colors, styles, determine a budget, then after offer personal advice to what suits best and recommend the hottest trends in season. Yes, no… Yes! Stunning! Perhaps… Definitely! You’re in good hands as they go out of their way to create the best value offered styling service with great pricing. They are steady at building relationships and their focus is to make any important appearance a powerful one. They do the shopping for you. Let us dress you for your events! Let alone that the girls have wicked taste, they also care. 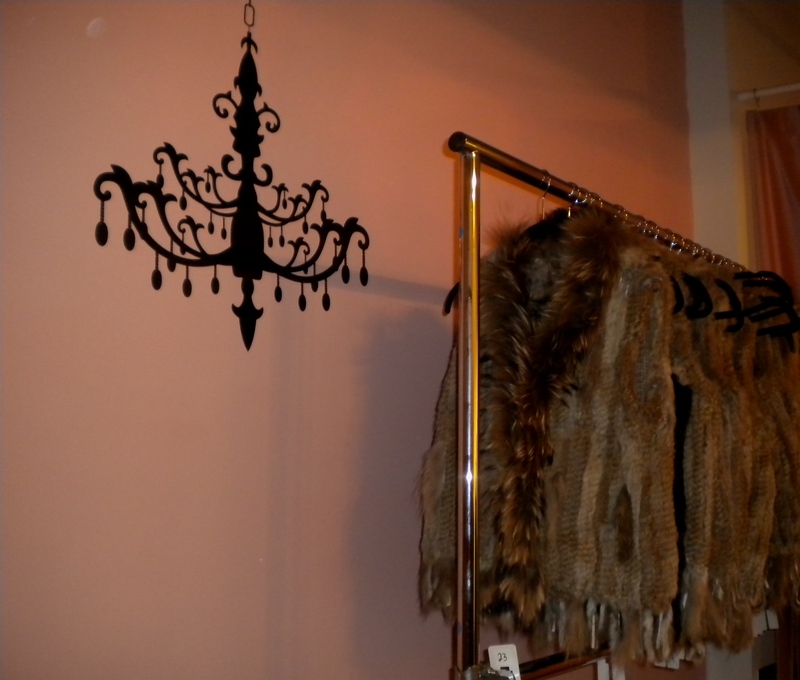 3 house designed fur vest were donated to The Lights of Hope Gala, a silent auction fundraising event that was held November 12th 2011. A big move to Laurier is about to happened and TCS happily invites you all to attend! Bigger showroom… new and exciting collections… Resort wear and thematic events… Re-located TCS`s grand opening event will be held Wednesday November 30th 2011 at their new showroom. A launch, and that of Maryam`s new jewellery collection Serial Indulgence will also be featured. Ohhhlala chica, haute couture with a bargain is Oh so chic, indulge !